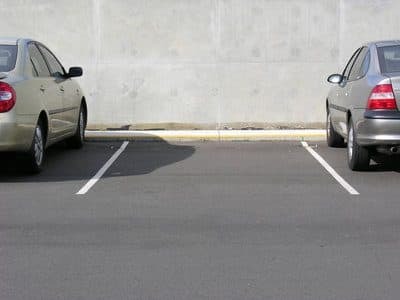 It’s just rude to swoop in and steal someone’s parking spot, especially when the other party has been patiently waiting for the parked car to pull out and leave the space. A viral video posted this year showed how one driver responded to this situation. The driver used his Jeep’s winch to tow the car that stole his spot out of the space and back into the parking lot lane. Maybe we need an Anti-Social Behavior (ASB) Act like the UK has to cover such petty offenses. The ASB basically says if you’re being a nuisance or annoyance in a residential setting or causing harassment, alarm or distress elsewhere, you can face a penalty. The Act allows for community remedies for bad behavior. Watching the parking spot stealer spending a day picking up trash from the parking lot could put a smile on your face. 0 Responses to "Stealing someone's parking spot"